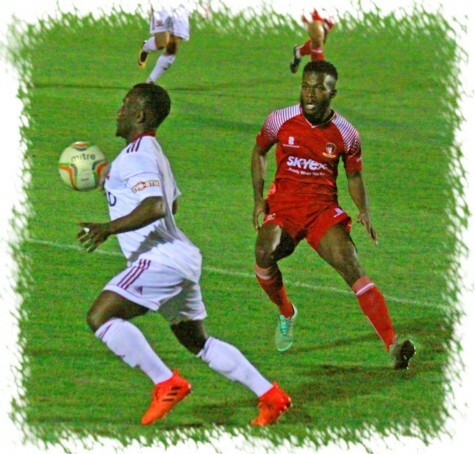 Hayes & Yeading United’s unbeaten home league record finally ended at the hands of a well organised Beaconsfield Town team on Tuesday night at the SKYex Community Stadium. Manager Paul Hughes made a couple of changes from the 2-1 victory away at Barton Rovers, with Matt Hall, Keano Robinson and Smith Tiesse all coming in to the defence, with Toby Little moving forwards to his more familiar left midfield role. It was United who had the first real chance of the game, following a foul on Duncan Culley on the edge of the box. Manny Duku lined the ball up from 20 yards, but could not find the net, instead blazing over the bar. Soon after, good work from Keano Robinson down the right saw the defender move the ball to Culley who cut back only to find his shot blocked by a resolute Beaconsfield defence. The ball falling back to Hall who’s cross was turned goalwards by Toby Little but with a comfortable save for Ravan Constable, the Beaconsfield goal was left intact. In the 25th minute, the first attack from Beaconsfield saw a pass from Alex Cathline find Arron Minhas, but his shot was comfortably saved by the legs of Jack Smith. In a very bitty half, the whistle was about to go for half-time, when a hopeful ball was punted over from the left hand side and having been missed by everyone in the middle, it left Jordan Ajanlekoko on the right to fire the ball into the United net. The most controversial moment in a game littered with time wasting and simulation from the away side was a very poorly timed tackle from the visiting Mitchell Gutteridge, which left defender Matt Hall spread-eagled on the floor. Despite what appeared to be a clear red card offence, the referee deigned it to be a 50/50 tackle, and let the Beaconsfield defender off with only a yellow card. 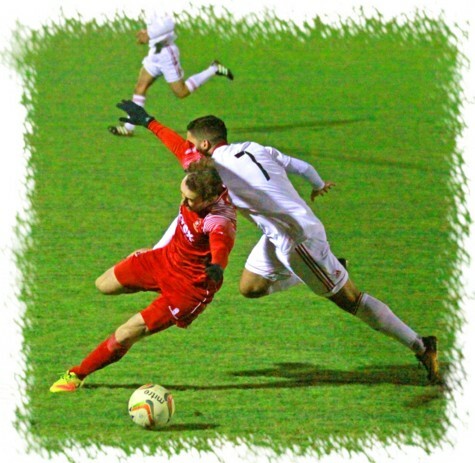 After 79 minutes, substitute Luke Joyce-Dwarika’s mazy run at pace nearly unlocked the Town defence, and the ball eventually found its way out to skipper Spyros Mentis – his pass to Robinson allowed a shot, but weakly in to the grateful arms of the awaiting 'keeper. 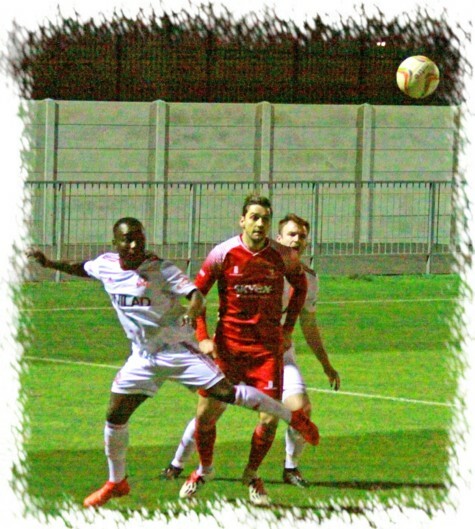 It was then Andrew Ofosu’s turn to run at the Beaconsfield defence, with just five minutes remaining. He was cynically hacked down on the edge of the box, resulting in the fourth yellow card for the visiting side, but the resultant free kick was wide of the post from Danny May. Then just as in the first half, the sucker punch saw Beaconsfield undeservedly take a two goal lead, when a defensive clearance cleared the United backline, and substitute Goldy Capella beat Jack Smith comfortably at the near post. Things were then going to go from bad to worse as a mistimed tackle from May was deemed to be reckless, and the United defender was sent off by referee Lowe. The referee had just advised that there were going to be six minutes of added time, but at this point, with ten men, the game just petered out. Overall, a bad day at the office, but we move on, and concentrate on our local derby with Uxbridge on Saturday. United Man of the Match: Smith Tiesse.